Rialto Water Services would like to hear from you! Please take our water conservation survey. This will only take a few minutes of your time and will greatly help us better communicate the water conservation message through this website and our customer newsletter. In exchange for your time, the first 150 valid surveys completed by RWS customers (one per household please) will receive a free water conservation kit, filled with important tools and devices to help you save water! In your opinion, how serious is the current drought? The City of Rialto has declared a stage 3A water emergency. This means outdoor watering is limited to three times a week, among other restrictions. Can you describe other mandatory restrictions currently in place under this water emergency? I don’t think I am wasting water. I don’t know how to conserve water. I don’t have the time to fix my water system. I have the right to use any amount of water whenever, however I want. 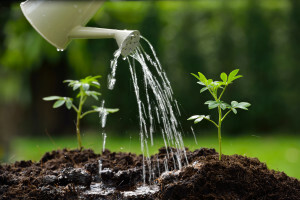 Have you made changes in your watering habits in the past 12 months? Have you applied for a rebate for a water-saving device? If yes, please list the device for which you received a rebate. Please provide us a current email address. We will use your email address only to send you periodic updates about Rialto Water Service and other water information.